Suzuki Motorcycles plans to retail over a million more two-wheelers by 2020. It aims at doubling its market share by 2020. Presently, Suzuki's portfolio consists of 16 products which comprises of scooters, commuter motorcycles and large capacity bikes. 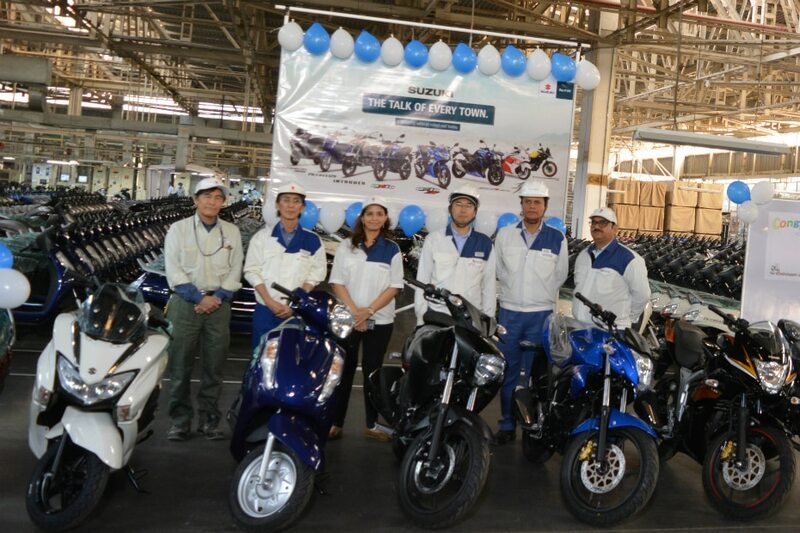 Suzuki Motorcycle India Private Limited (SMIPL) has announced its milestone achievement of producing over four million vehicles at its Gurugram plant in Haryana. The accomplishment also lays the groundwork for the Japanese manufacturer’s plans to double its market share by selling another one million units in India by 2020. Currently, Suzuki's portfolio consists of 16 products which includes scooters, 125-150cc motorcycles and some of the bestsellers like the Access and Burgman Street 125, the Intruder and Gixxer series. Alongside scooters and commuter motorcycles, Suzuki also deals in high capacity bikes like the iconic Hayabusa, GSX-R1000R, GSX-S750, V-Strom 650XT and RM-Z series. Ever since its launch back in June 2018, the Burgman Street has been raking in the numbers for Suzuki. For instance, the maxi-styled scooter has sold a little over 9,000 units almost every month since July which goes to show just how well the scooter has been received by Indian customers. Not only this, but the introduction of the Suzuki V-Strom 650XT and the GSX-S750 has made bigger capacity motorcycles lot more affordable for bike enthusiasts. Moreover, these two motorcycles get features like tractions control, Suzuki’s easy start system and low rpm assist, which gives these bikes the competitive edge in the market. Additionally, the bikemaker also exports products manufactured in India to over 30 countries across the globe. The company which set up shop in India back in 2006 has come a long way and achieved this feat within a span of just 12 years. Here's the official statement from the manufacturer.